CA drought end in sight? SAN FRANCISCO — More than 40 percent of California has emerged from a punishing drought that covered the whole state a year ago, federal drought-watchers said Thursday, a stunning transformation caused by an unrelenting series of storms in the North that filled lakes, overflowed rivers and buried mountains in snow. California will remain in a drought emergency until Gov. Jerry Brown lifts or eases the declaration he issued in January 2014, while standing in a bare Sierra Nevada meadow that one of the state’s driest stretches on record had robbed of all snow. State officials said this week that Brown will likely wait until the end of California’s winter snow and rain season to make a decision on revising the drought declaration. “It’s hard to say we have a drought here right now,” said Jay Lund, director of the Center for Watershed Sciences at the University of California at Davis, an area near Sacramento that was awash after its heaviest rain in 20 years. The opened gates were spilling a two-mile torrent of excess water into public lands in the Sacramento Valley, alongside the equally raging Sacramento, the state’s largest river. The past week’s storms were enough to double the snowpack in parts of the Sierras, runoff from which provides Californians with much of their year-round water supply. Stations up and down the mountain chain were reporting twice the amount of normal rain and snow for this time of year. The state’s reservoirs were brimming above average for the first time in six years. “It’s been so wet in some places this winter we would do pretty well even if it tapered off right now,” said Daniel Swain, a fellow at the University of California at Los Angeles whose weather blog has been a closely watched chronicle of the state’s drought. 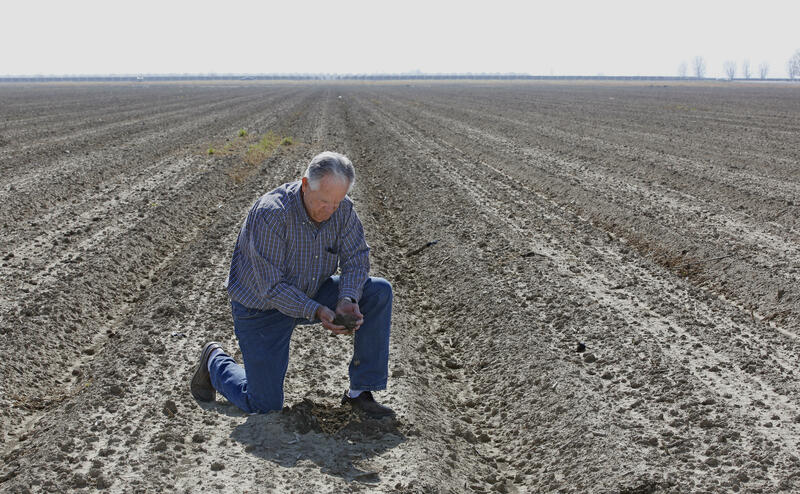 In a state as sprawling and varied as California, “where we are in a drought is complicated,” Faunt said.